Building your customer database can seem daunting. There are no set formulas on how to successfully collect customers' details, but there are some helpful approaches that will improve your success rate of gaining this information. Firstly, consider how willing you are as a customer to give out your own details, like your email address. How do you make the decision whether to give out your information or not? More often than not, it is determined by your experience as a customer. For store owners, this means that it's important to create an enjoyable customer experience, in order to gain the customer’s email address. Getting this information is a stepping stone into building a relationship and eventually, customer loyalty. It's important to create this enjoyable experience right from the get go. It can be as simple as making sure your store environment is inviting; having products laid out neatly, interesting displays, background music, and quality lighting. As well as the environment, a large part of customer experience depends on their interaction with your staff. Having friendly, knowledgeable, and approachable staff can make the world of difference for a consumer and instantly increases your chance of collecting their details. Staff that are welcoming as customers enter the store, who create light conversation that demonstrates their knowledge of the products, and who ask if they need any help can be a great way to make a good initial impression on a customer. Asking for the customer’s first name can be a way of creating a more personalized connection, for example, asking for their name when putting clothes in the changing room can improve trust and show that you are invested in their customer experience. The biggest opportunity for your staff to collect your customers' details is at your point-of-sale. This is because it takes time to scan the products, package them, and for the customer to pay - providing a perfect chance to ask for the customer’s email address. Creating conversation about the products that are being purchased can be a great way to introduce the opportunity to join your mailing list. For example, saying, “I love this collection too. If you like this collection, would you like me to add you to our email database? This will let you know when there are new styles in.” This can be a great way to make a common connection and introduce your mailing list in a way that describes a benefit for the customer. Rather than simply asking “Would you like to join our mailing list?” which is very commonly used and is a closed-ended question leading customers, more often than not, to say no. Adding an incentive to join the mailing list is a great way to collect customer details as well. An incentive, such as a discount on their next purchase, adds urgency for the customer to sign up. They can see the immediate benefit to them. For example, a great incentive can be your loyalty program. 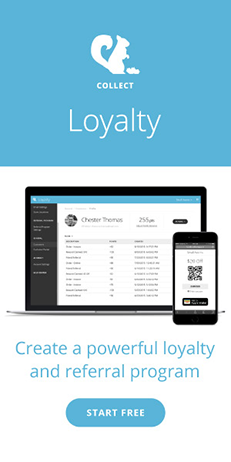 Using Collect Loyalty your customers get a reward just for signing up and completing their profile. "Would you like to join our loyalty program? You get $5 off your next purchase, just for joining and completing your profile". The customer can see an instant benefit, they will be more likely to sign-up. When collecting the customer’s email address, make sure that you have gained their permission and they understand what it means to be a part of your mailing list. If a customer has doubts to join, you can make them feel more comfortable by setting the customer’s expectations of the content that you will share, how often and when you will send emails. 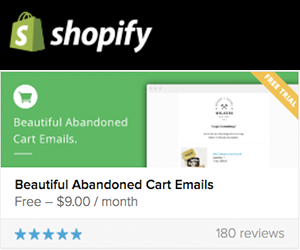 Your customers may be more willing to sign-up and less likely to unsubscribe to your emails. However, no means no - So if they say no, don't try and push them. Once you have the customer’s email address it is important to have a plan for what you are going to send them. Email is a great platform to create a relationship with your customers - so don’t waste it. It is also an affordable, easy and simple way to build-up this relationship. Lastly, when your customers make repeat purchases, it is important to check that you still have the correct email address. You can do this by simply checking their details at point-of-sale. This will reduce the risk that your emails aren't reaching your customers and improve your open rates. Good luck and happy collecting!